Botanical Printable Cabbage – Wonderful Antique Print! Today I’m sharing a wonderful Botanical Printable Cabbage! 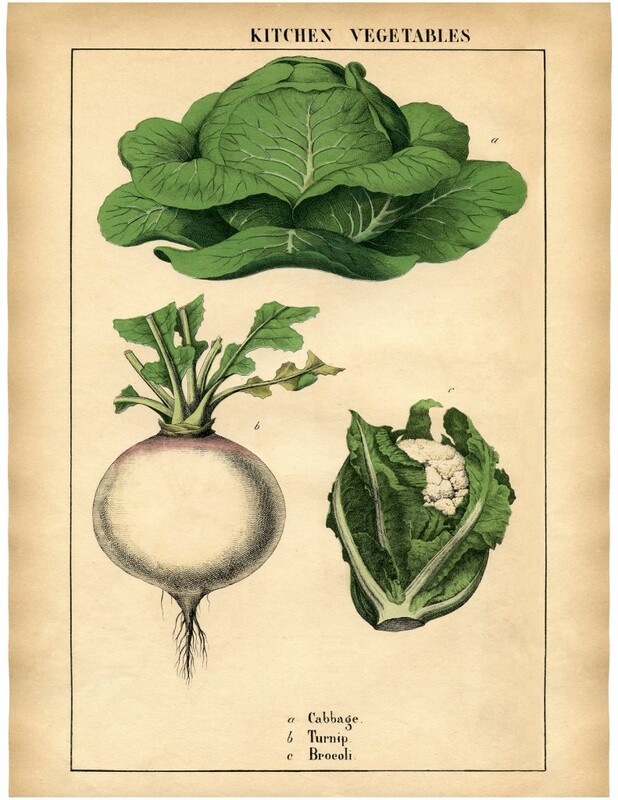 Shown above is a marvelous Antique Print showing some lovely vibrant Vegetables, including a bright green Cabbage, a Turnip and also something that looks more like Cauliflower to me, but is labeled as Broccoli, on the print. Wouldn’t this look great framed and hanging in a kitchen!! This one was scanned from a Circa 1860 Antique British Botanicals book, that I recently added to my collection. You can find a coordinating print to this one, an Antique Botanical Artichoke Printable, HERE. They would look great framed and hung together! 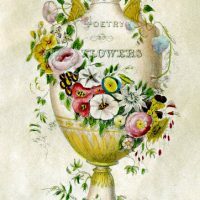 Victorian Clip Art – Poetry of Flowers – Urn Free Fall Printable Moths – Fabulous! Vintage Prickly Flowering Cactus Botanical Graphic! I totally LOVE this site…almost too much to choose from… 🙂 I visit it daily! I’ve recommended it to many of my friends that are addicted to crafting….or just want to try new things or re-decorate…keep them coming please!